Although the 306 horsepower Honda Civic Type R ranks high on every hot hatch fan’s want list, it’s realistically out of reach for a lot of us, considering its almost £30,000 price tag. Luckily, Honda also makes something called the Civic Si. Think of it as a toned down Type R. It is to the Honda brand what the M135i is to BMW. Unfortunately, it’s a U.S.-specific model, so if you’re anywhere in Europe or Asia, tough luck. We won’t be getting it anytime soon. 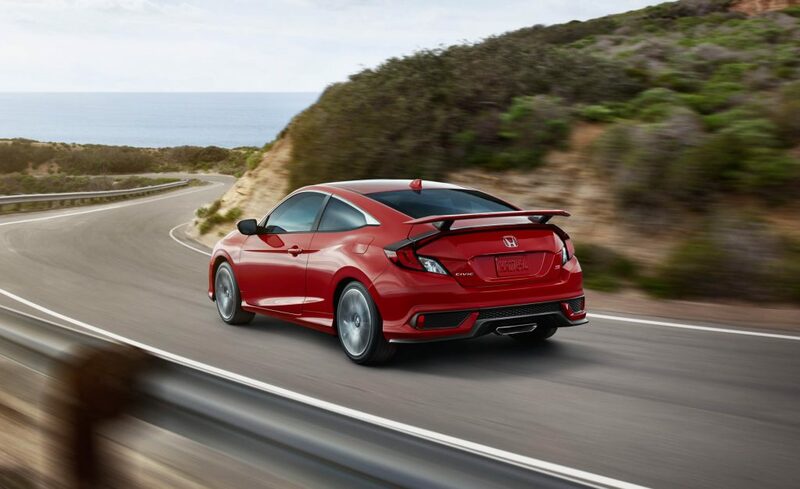 Under the hood the 2017 Honda Civic Si gets the same 1.5-liter turbocharged four-cylinder found in the standard Civic, but here it’s been cranked up all the way to eleven. The end result is nothing short of surprising. Peak power stands at 205 bhp and it makes 192 lb-ft of torque between 2100 rpm and 5000 rpm. It’s linear with plenty of grunt everywhere throughout the rev range, without sacrificing low insurance rates. It’s impressive that Honda has been able to extract over 200 hp from something less than the size of a Coca-Cola bottle. Offered in two-door coupe and four-door saloon versions, both versions are actually wider than before. The weight has gone done and according to Honda, most of it is underneath the floorpan. The center of gravity should therefore be significantly lower than the previous Si, resulting in improved handling characteristics. Apart from the obvious advantage (or is it a disadvantage?) of having more doors, the saloon gets extra rear-seat heating vents. The anti-roll bars have been revised and are now 30 percent stiffer at the front and 60 percent stiffer at the rear. All of the bushings have been replaced with new more solid ones and the suspension’s upper control arms are the same ‘ultra-rigid’ ones found on the Type R. Peak power comes at just 5,700 rpm, so it really doesn’t like to be revved out. In Normal mode, it feels civil and slightly docile. Ideal for everyday driving then. Switch it to sport though, and it suddenly wakes up. The adaptive dampers stiffen, the variable-ration power steering offers more feedback and precision and the throttle response feels a bit sharpened. 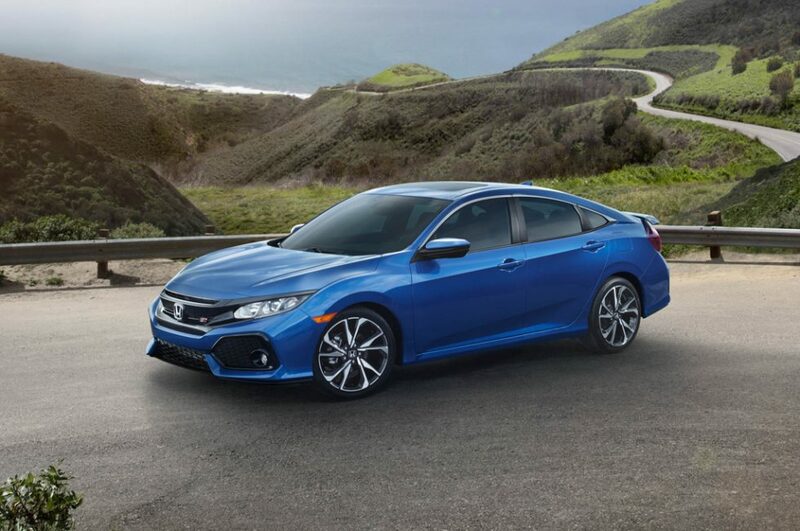 US prices begin at just $23,900 for the base model (£18,500), but sadly the Honda Civic Si won’t be coming to the UK or Europe. Would you have this or a Ford Fiesta ST? Let us know in the comments.